Summertime is here, and for many families that means setting out on a vacation. 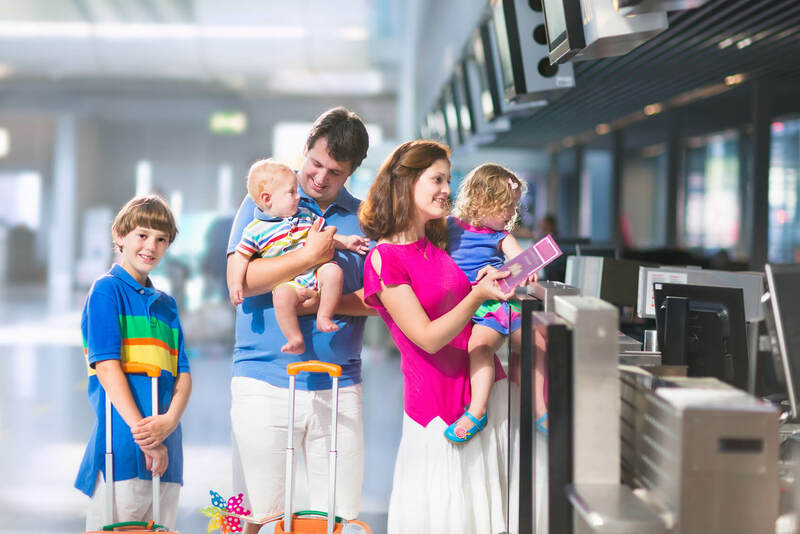 Whether traveling near or far, it’s important that families keep safety in mind. An analysis of fatal crashes by the Insurance Institute for Highway Safety (IIHS) between 1998 and 2014 found that summer and early fall are the most dangerous times of the year; with weekends being deadlier than weekdays, and the highest number of deaths occurring between 3 p.m. and 7 p.m. There was an average of 106 fatalities per day during this 17-year period. 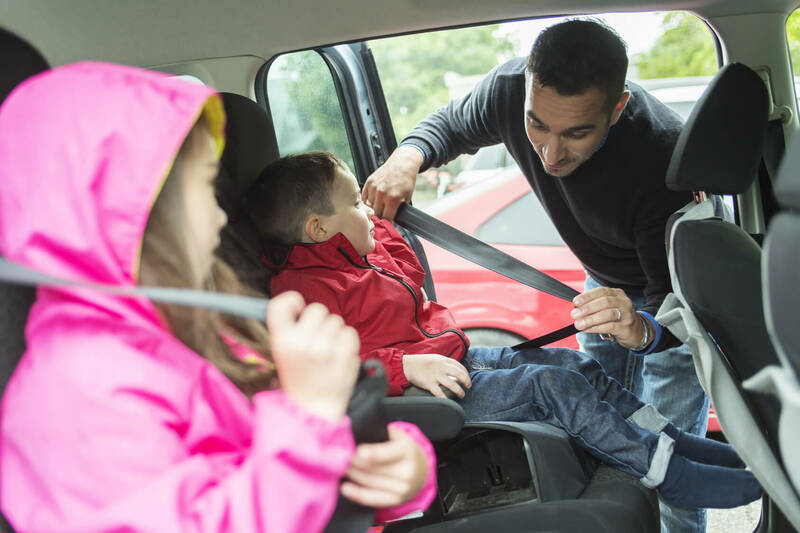 To keep your family safe, take a few minutes to review these tips to help reduce your chances of becoming a crash statistic. When traveling by car, keep the following safety tips in mind. Never text and drive, drive distracted, or drive when tired. ALL passengers should be properly restrained. Unrestrained passengers can be seriously injured or killed, or could cause injury to (or kill) other occupants in a crash. Children under the age of 13 should be seated in the back seat, as this is the safest place for them. All passengers 13 and older should ride with a lap belt laying across the top of the thighs and a shoulder belt laying across the collarbone. Passengers should ride upright and should avoid lying against doors and windows. All seats should be in an upright position. Rear-facing seats: Children 2 and under should ride rear-facing in either an infant carrier or convertible seat that is reclined at a 30° – 45° Harnesses should be level with or just below their shoulders. Children who have reached the age of 2 can ride forward-facing. However, if they are within the child restraint manufacturer’s stated height and weight specifications, and their head is not more than an inch from the top of the seat, they are safest in the rear-facing position. Forward-facing seats with harness: Children who are at least 2 years old, and who meet the weight and height requirements of the child restraint manufacturer, may ride forward-facing in an upright position with a harness. Harnesses should be level with or just above their shoulders. Children should remain in a harnessed seat until they reach the maximum stated weight and height given by the child restraint manufacturer or until the middle of their ears reach the top of the shell. For either rear- or forward-facing seats with a harness, harnesses should be nice and snug so that no webbing can be pinched at the shoulders. The chest clip should be at armpit level. Harnessed seats should also be properly installed, so that they move no more than one inch from side-to-side and/nor forward-and-back at the belt path. Booster seats help seat belts fit kids correctly. or who no longer fit properly should move to a booster seat. Booster seats help to properly position the lap belt across the top of the thighs and the shoulder belt across the collar bone. Children should remain in a booster seat until they reach 4’9” tall and pass the Safety Belt Fit Test. 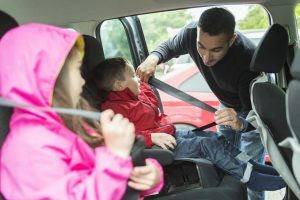 The University of Florida/IFAS Extension Brevard County office has a certified child passenger safety instructor who can check your seat for you. Call our office at 321-633-1702 to schedule an appointment. If you are traveling by air, keep the following in mind. Keep kids safe when flying too. Although not required on U.S. aircraft, children under 40 pounds are safest when secured in child safety seats. If using a child safety seat, make sure that it is certified for aircraft travel (label must state, “Meets Federal Aviation Administration requirements”). Be aware, that booster seats are not certified for travel on aircraft. Children who are not in a child restraint should remain restrained in the seat with the aircraft lap belts throughout the flight. 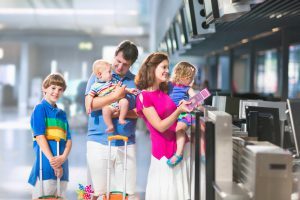 Summer travel may be more dangerous than other times, but by practicing safe travel guidelines, you can increase your odds of keeping your family safe during your vacation.